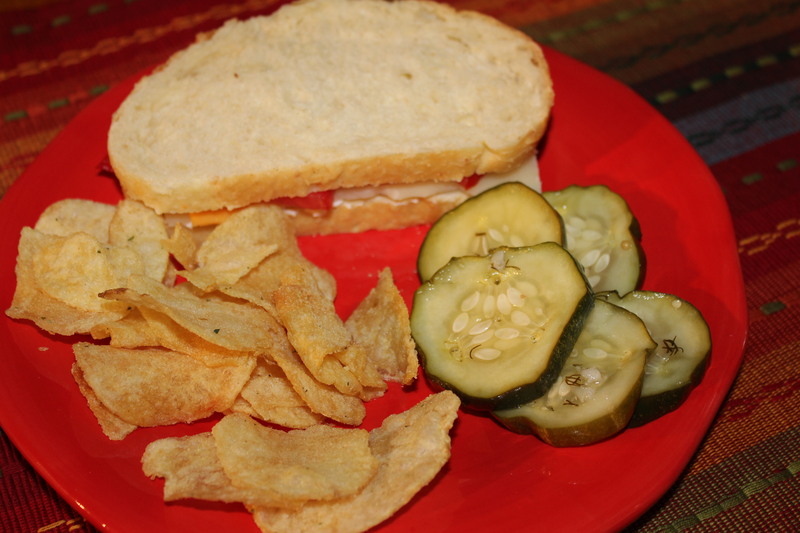 Pickles are one of my favorite snack foods ever and I love all kinds of them – dills, bread and butter, okra, beets, peaches, gherkins, banana peppers, jalapenos, artichokes – the list goes on and on. Luckily there are so many commercial brands to choose from in the grocery stores and homemade ones available at farmers’ markets, flea markets, roadside stands and specialty stores. The best thing is that you can buy them year round and they still taste great! I’ve been canning my own pickles on and off since the early 1980s, although I must admit that lately it’s been more off than on. 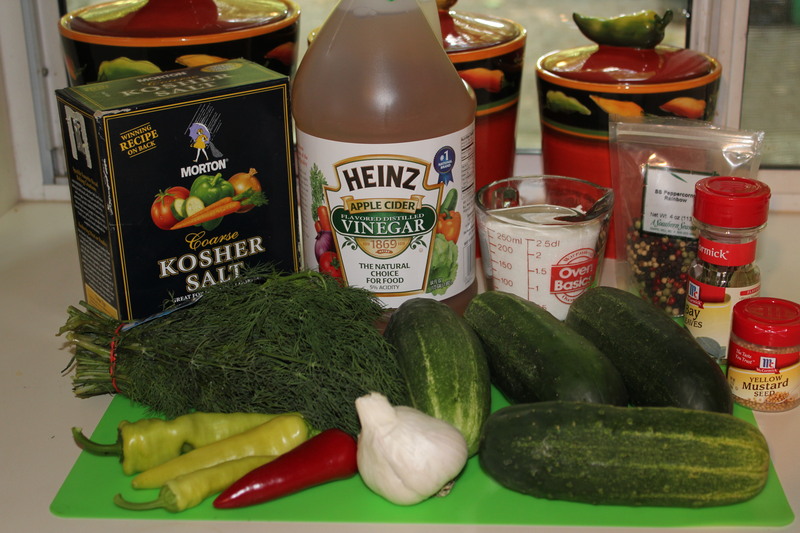 I recently ran across some recipes for easy refrigerator pickles that did not require processing them in a boiling-water bath, so I took some of the ingredients from each of the recipes and came up with what follows. And I’m glad I did – these are so easy to make, take only a couple of days until they are ready to eat and are addictively delicious! 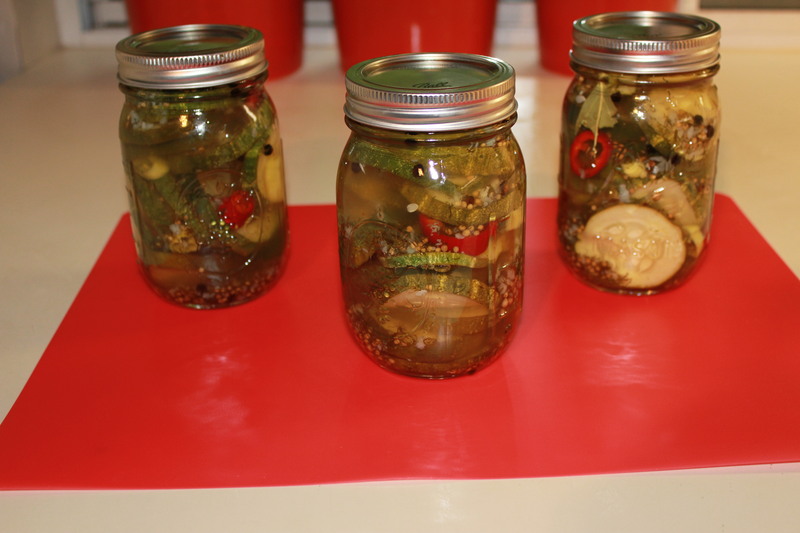 The key to making great pickles is using the freshest ingredients, including the spices. I went to the farmer’s market to get the cukes, etc., and made these as soon as I got home. 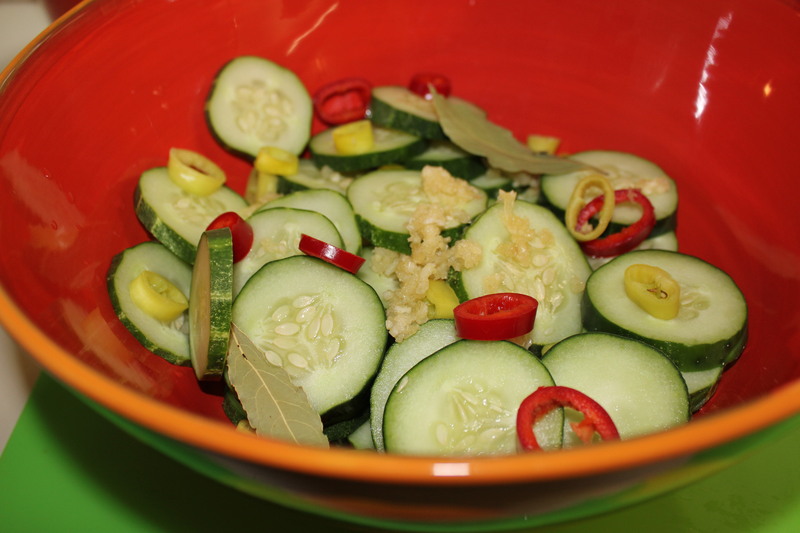 Place cucumbers, banana peppers, chile pepper, garlic and bay leaves in a large bowl, gently mix together. 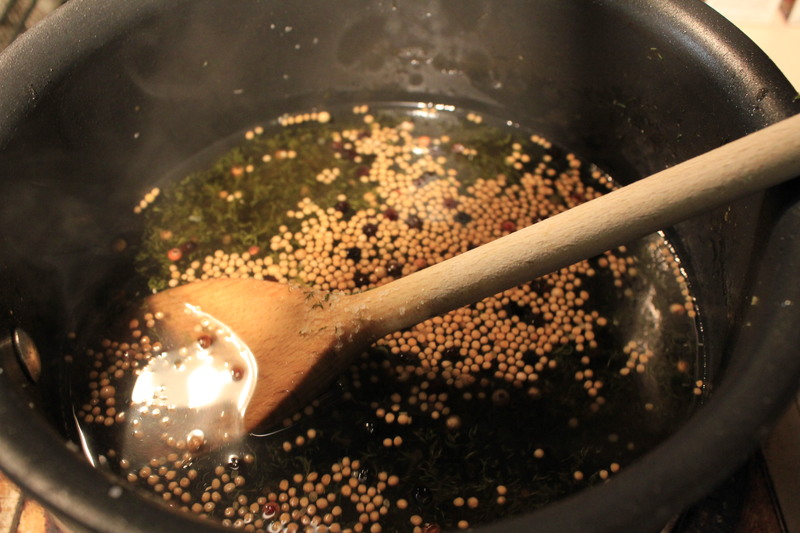 In a large saucepan, combine vinegar, water, sugar, dill weed, peppercorns, mustard seed and salt. Bring to a boil, reduce heat and simmer for 5-10 minutes. Stir frequently to ensure that the sugar is completely dissolved. 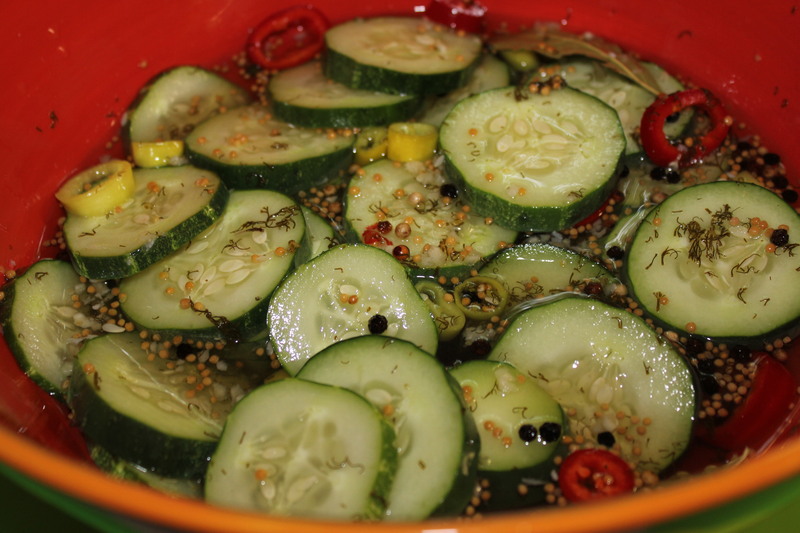 Pour the liquid into the bowl with the cucumbers and other ingredients and gently stir. Cover the bowl and let it cool for a couple of hours. 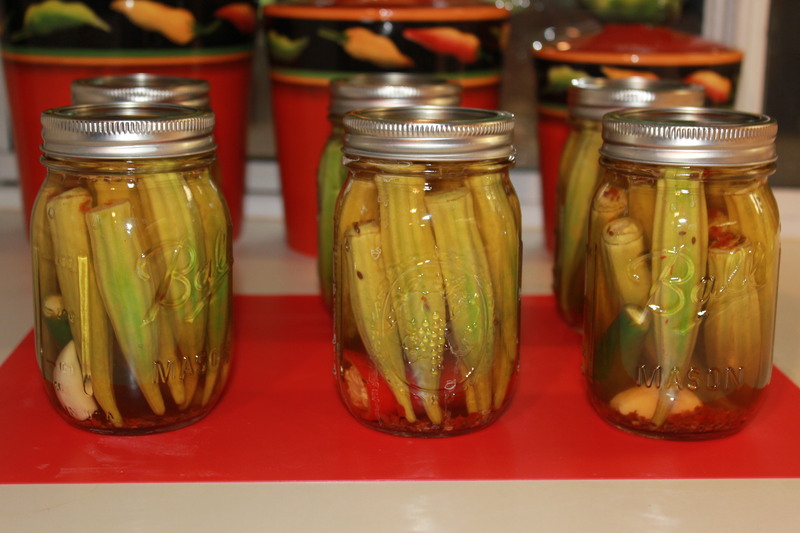 Once the pickles are room temperature, I transfer them to sterile pint canning jars. However, you can leave them in the bowl if you like, or store them in any other non-reactive container. The good thing about placing them in jars is that you can put your own label on them (include the date made) and give them away to your friends – that is if you make enough! I did not make enough this batch, but could be bribed to do so 🙂 soon. 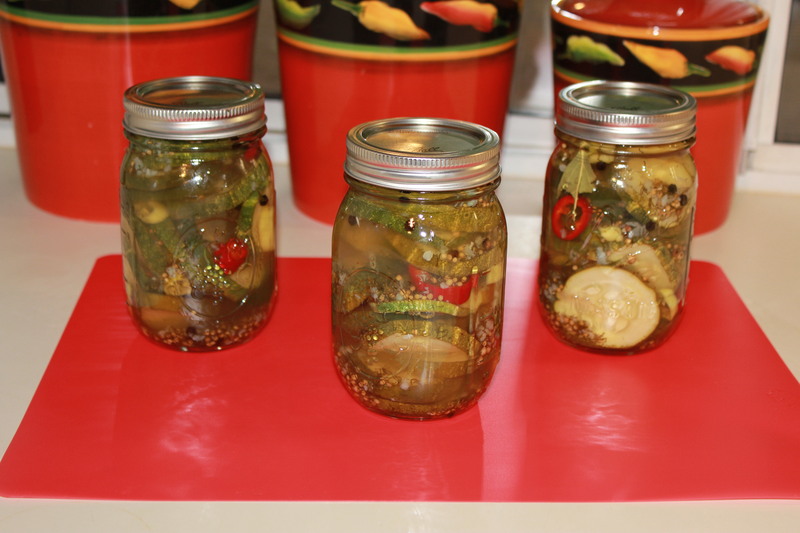 These pickles are ready the next day, but keep in mind that the flavors will deepen the longer you leave them – they should last a couple of weeks or so. While I love these straight out of the jar, they also go great with sandwiches, burgers (black bean or otherwise), etc. 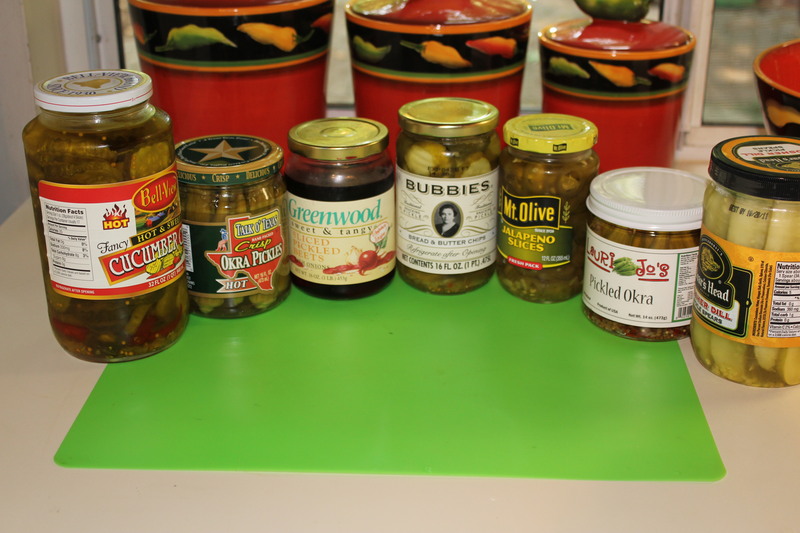 Chopped, small, they can be served as a homemade pickle relish. Yum! This entry was posted in Recipes, Vegetables/Vegetarian/Vegan and tagged bread and butter pickles, eat drink and be merry, food blog, homemade bread and butter pickles, homemade pickles, Kel's cafe, kel's cafe of all things food, Kelley Chisholm blog, Kelley Chisholm recipes, okra pickles, pickle recipes, Raleigh food blog, Recipes, refrigerator bread and butter pickles, refrigerator pickles, vegetarian recipes. Bookmark the permalink.